The Music Midtown dates for 2019 have been announced! The official dates are Sept. 14 -15 in Piedmont Park! You can experience one of Atlanta's best music festivals with great production across four different stages, great food and great times in the sun! Music Midtown tickets are on sale right now! Music Midtown 2019 is an Atlanta music festival with a lineup of indie rock, hip hop and more set in a two-day festival in downtown Atlanta! It's a multi-stage event with a focus on a quality lineup and a great weekend for a September music festival in the sun! Tickets are available in general admission and two levels VIP tickets. You get access to things like an open bar, dedicated entrances, exclusive viewing area and private (air conditioned!) bathrooms with VIP. General admission tickets will give access to all the stages, food and sponsor areas. The Music Midtown 2019 lineup and Music Midtown 2019 tickets are below! Music Midtown 2019 tickets are on sale! You can get weekend tickets for general admission, VIP and Super VIP. Music Midtown 2019 dates are official! What are you wearing to Music Midtown 2019? Use our promo code SPACELAB (all caps) to get 10% off at www.vibedration.com & www.iheartraves.com! 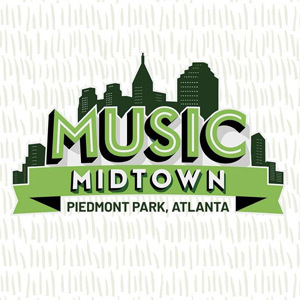 The 2019 Music Midtown lineup hasn't been released yet. Check back for updates! Who do you want to see in the Music Midtown lineup?